Amish is a 36-year-old, IIM (Kolkata) educated boring banker turned happy author. 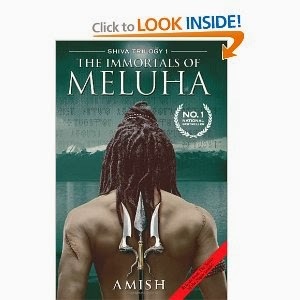 The success of his debut book, The Immortals of Meluha (Book 1 of the Shiva Trilogy), encouraged him to give up a fourteen year old career in financial services to focus on writing. He is passionate about history, mythology and philosophy. He believes there is beauty and meaning in all world cultures and religions. The Secret of the Nagas is the second book of the Shiva Trilogy. Amish lives in Mumbai with his wife Preeti and son Neel. He is presently working on the third book of the Shiva Trilogy, The Oath of the Vayuputras.